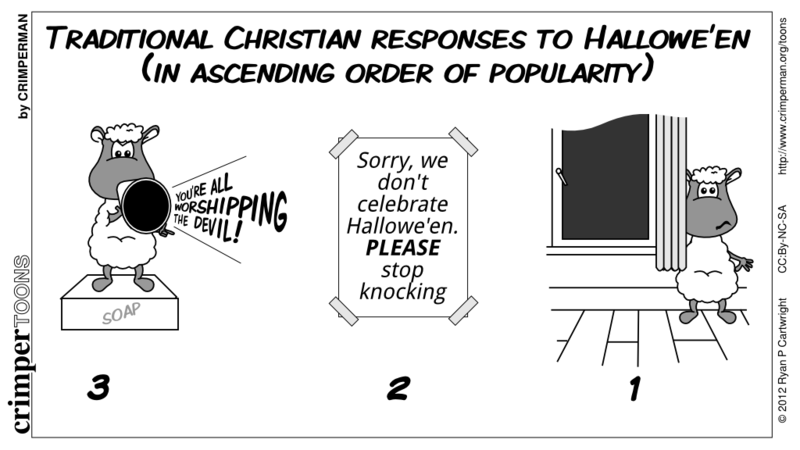 I noticed this weekend that CLC in Birmingham had a whole heap of Halloween tracts – and a pumpkin prayer, in a display this weekend. So if you’ve not had time to grab any resources, a quick trip to a local Christian bookshop should sort you out in time for any trick or treaters likely to descend. Our church are holding a light party for the first time this year – we’ve just rescheduled our October Messy Church to coincide. My kids are looking forward to it, and I’ve promised the Joker he can do some ‘guising’ at the party by encouraging everyone to tell cheesy Halloween jokes. 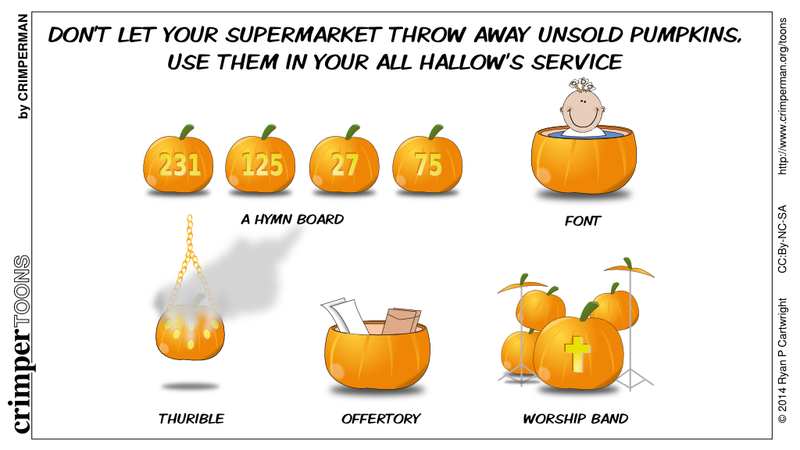 I know we’re all thinking about Back to Church Sunday and Harvest and everything (gosh, it’s a busy term – and we’ve got a confirmation to factor in too), but before you know it, it will be Halloween. And the brilliant Glen Scrivener (of Anti Santy Ranty fame) has produced a great new video to get your congregation or youth group thinking. 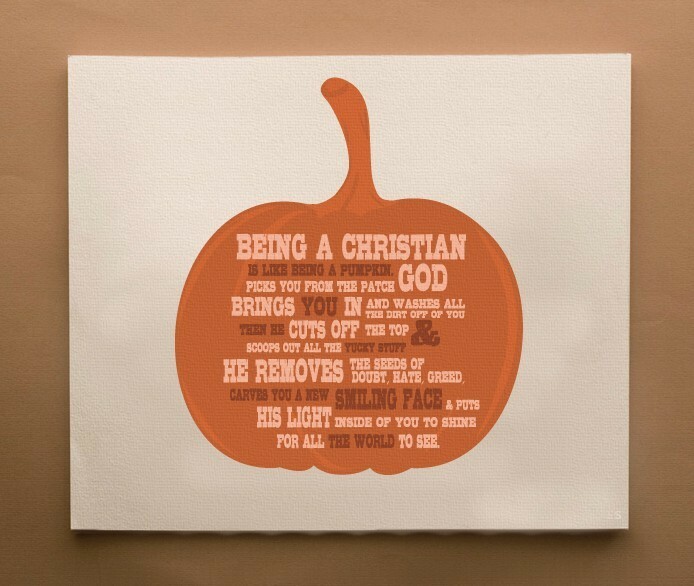 A great reminder that the light triumphs over the darkness. All our Trick or Treaters turned up whilst we were eating last night. But despite the bad timing (and a rather cold tea), we had lots of fun. We always ask kids to perform something in exchange for their sweeties, as they do in Scotland, but they were all pretty hopeless and in the end the Joker and the Engineer told jokes from their vast repertoire. We told them about our Jesus pumpkin, which had a flame on one side and “Jesus” within a heart on the other, talking about how Christ brings light to our world and into our lives. And then we handed out sweeties and tracts. The damp weather put a few off, I suspect, but still a great opportunity to treat local kids and get to know the neighbours.